Want to raise a dram and join thousands of people around the globe in celebrating World Whisky Day this year? Then why not set up your very own World Whisky Day event? World Whisky Day events are free and easy to set up. They require nothing more than some good company as well as some good whisky. Public or private, every registered event is published on the listings page World Whisky Day website, accompanied by a title, a description and a picture. Once registered you’ll become an official Event Champion, with access to free downloadable promotional material. So whether you’re looking to raise a quiet dram with gran or completely transform your bar to mark the day, follow the guide below. We’ll advise you on how to set up and host your very own World Whisky Day event and get set to celebrate with the world. Don’t just take our word for it, though – we asked a few event champions from previous years to share their experience. At heart, this is what World Whisky Day is all about: getting together with friends and family, and appreciating one of life’s great pleasures. It doesn’t need to be lavish – perhaps you simply want to raise a dram with a loved one and reminisce, or host a house party with some good friends. In that case all you’ll need is the people and the whisky. Snacks never go amiss – the usual favourites or, if you’re feeling adventurous, matching canapés for your whisky. You could even light up the BBQ, or if you’re a talented cook, how about throwing a whisky-themed dinner? Cigar and whisky pairing is another popular theme. Really, if you’ve got the passion, the possibilities are endless. Whisky shops make great World Whisky Day venues. They provide the perfect opportunity for revellers (tourists, students, appreciation societies etc.) to sample a great ranges of whiskies. Regional tasting tours are particularly popular, as are chocolate or cheese and whisky pairings. It’s also a fantastic chance for shops to offer exclusive discounts on particular whiskies to attendees. Distilleries can join in as well, with many all over the world already running special World Whisky Day tours, offering exclusive tastings, discounts, and even revealing new products. Visitors should have the opportunity to meet the people that make their favourite dram. There’s no better place to celebrate World Whisky Day than where it all began, though: at the bar. Every year and all over the globe, bars, restaurants and hotels celebrate World Whisky Day in countless ways. These range from tastings at independent whisky rooms to multi-course whisky-themed dinners at renowned hotels. There’s going to be planning involved, but it’s certainly worth the effort. Whole ranges of whisky are already available to attendees, and it’s a chance for the makers to get involved directly by sending ambassadors to big events at which they can host specialist tastings and stalls. Master classes are also a great way to engage with crowds, as well as prize giving, food pairing and live music. Tourist attractions are welcome on board as well, with many already running exclusive and exciting World Whisky Day events. 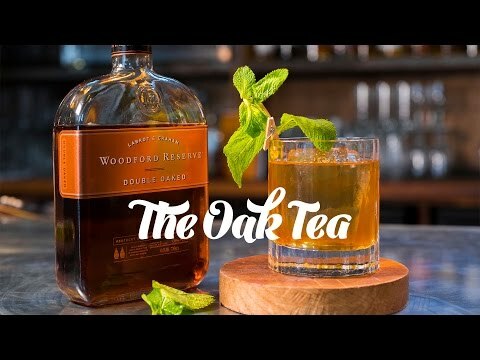 If cocktails are part of your repertoire, you may want to include our 2017 signature cocktail The Oak Tea as part of your celebration. See the video below for details. 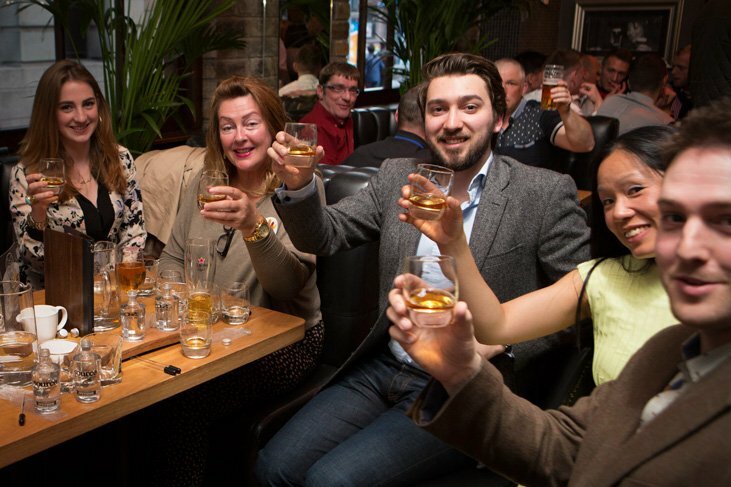 Everyone involved in World Whisky Day can be a part of the social media buzz, so if you’re hosting or attending an event then head over to our Twitter and Facebook pages and get talking about your event. The tag for the day is #WorldWhiskyDay. Feel free to have a look through our current event registrations here for inspiration in planning your event. If you require any more information at all, don’t hesitate to contact us directly at info@worldwhiskyday.com. So what are you waiting for? If you’re ready to register an event then click here and sign up for free. Looking forward to raising a dram with you on the day.